Teeth Whitening: DIY or Visit your Dentist in Austin? You start at 12 Oaks Dental! All of us at our dental office in Austin want to encourage our patients to come see us before deciding on a whitening treatment. Although whitening your smile may seem simple and harmless, there are a few things to consider before taking the leap. An alternative to these kits is a professional whitening with your Austin dentist. This option is safer as custom trays are used and protective measures are taken to avoid any gum irritation. You’re also often able to keep your smile whiter for longer. Whichever choice you make, make sure to visit 12 Oaks Dental for an initial smile whitening consultation. We’ll help you choose the best option for you and your teeth and make sure you’re a candidate for a smile whitening procedure. If smile whitening isn’t your best option, we can discuss alternatives like veneers or bonding. Don’t remain tight-lipped! Show your smile to the world. Start by calling us today! You’ll often hear us recommend that you visit us every six months, and sometimes more frequently. And it’s not just because we like to see you! All of us at 12 Oaks Dental in Austin want our patients to understand why keeping up with their scheduled checkups is so important. 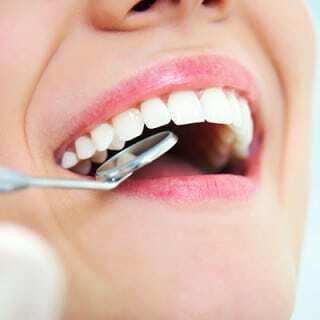 Regular hygiene visits and checkups with your Austin dentist are essential to maintain an overall healthy mouth and to make sure any potential dental problems are caught immediately, before they become difficult to treat and potentially dangerous. Some dental problems have been linked to other health complications like certain cancers, heart disease, and strokes. This is why we encourage our patients to visit us at least every six months so we can put a stop to any oral dangers that may be present before they can affect the rest of your body. Sometimes, we may recommend more frequent visits to help keep you healthy. During your recommend recare visits, we will check your teeth for decay and cavities, evaluate your gums for gum disease, and check for oral cancer, among other things. We’ll also remove any tartar or plaque that may have built up and perform a thorough cleaning for a polished, smooth smile. So what are you waiting for? Schedule your appointment with 12 Oaks Dental today and stop by to see us. We’ll check you for any problems that may be hiding in your mouth and get your teeth clean and feeling fresh. Give our Austin dental office a call today!